Row by Row and Anniversary Sale next week! Next Friday and Saturday, June 24 and 25, we will have our Anniversary Sale. It’s been 7 years since I bought Thistle Dew! To celebrate, we’ll have lots of savings, lots of prizes, and lots of fun. More details next week, but mark your calendars now so you don’t miss out. Row by Row 2016 starts next Tuesday, June 21. Our row is now on display at the shop and is pictured below. If you’re not familiar with Row by Row, click here to go to the Row by Row website for all the information: Row by Row Info The 'Home' page describes the program. Click on the 'Start Here!' tab to find participating quilt shops locally and in all the states you may be visiting this summer. There are shops in Canada, too, and this year there are even some European shops taking part. There is also a Facebook page for each state that shows the patterns from the shops. Click here to go to the California page: CA Facebook And, if you’d “like” our row, that would be wonderful! We’ve all been very busy working on our row and we can’t wait to share it with everyone. Did you know there’s a Farmer’s Market in Fair Oaks Village (in front of the BBQ Pro) every Tuesday from 4:00 – 8:00 p.m.? It features fresh produce, tamales and salsa, fresh fish, and more. It’s small now, but with your support and patronage it can grow and feature more wonderful local vendors. We just finished our first Tuffet class, and Jill has scheduled another one with us (Sept 8 & 15). The picture here shows six of the happy students with their tuffets. You too can join in the fun and create your own unique tuffet (or tuffets)! 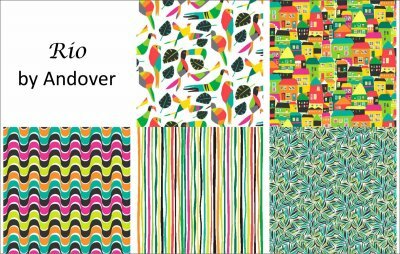 It’s been a while since we’ve shown some of our new fabrics, so below are just a few new ones, from the bright to the sweet to the silly. There’s more new ones to see in the shop, including the complete new collection from Eleanor Burns – Forever Love and Downton Abbey – Home. 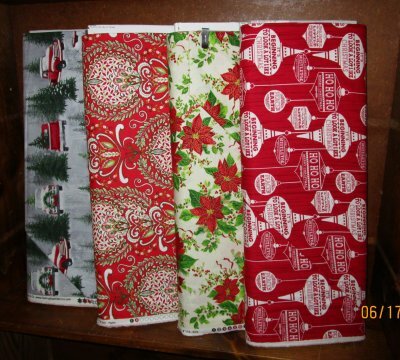 We’ve also started to receive Christmas fabrics. A few are show below. 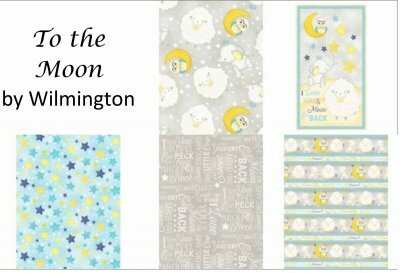 We also have lots of patriotic, Halloween, and fall fabrics, so we’re all set for upcoming holidays! 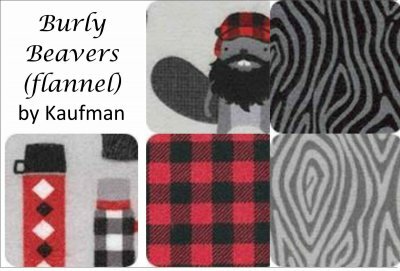 Come in and see these and our other new fabrics soon! Also, if you buy the end of the bolt, you get 10% off that fabric!